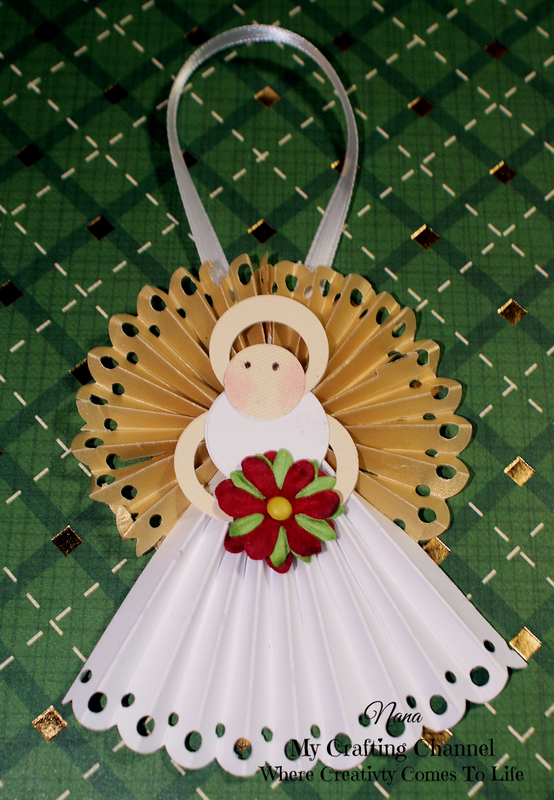 My Crafting Channel: 2 Creative Chicks Challenge #21 "Make a Ornament"
2 Creative Chicks Challenge #21 "Make a Ornament"
This month challenge is "Make a Ornament"
For this challenge I created this adorable Angel Ornament using punches. Oh wow, this is amazing, Nana!! I love the design and the pretty flower she is holding!! What a gorgeous ornament!! This is so beautiful Nana~ So delicate and beautiful! BEAUTIFUL ornament Nana! I would love to make some of these:) So pretty! This is just Precious!!! A beautiful decor!! I am so sorry to hear that you were in the hospital. I hoe that you are feeling better. Sending my prayers & hugs.. I hope you are feeling better. We missed you. I love this beautiful angel. A tree full of these would be beautiful. This angel is beautiful, Nana!!!! Have a great day. What a sweet little angel, I just love her!